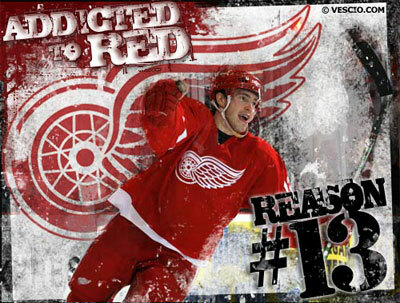 Over at Abel to Yzerman, they’ve been running a contest to replace the Red Wings’ slogan for this season. Stupid slogan? Check. Out of date team logos? Check. Could have been made by a grade-schooler? Check. Now, I’m not a fan of “catchy” slogans in general, especially not ones you change every year (not that they’ve ever gotten rid of “Hockeytown,” which was once just a gimmick), but if a fan could come up with something that good, why couldn’t the team?